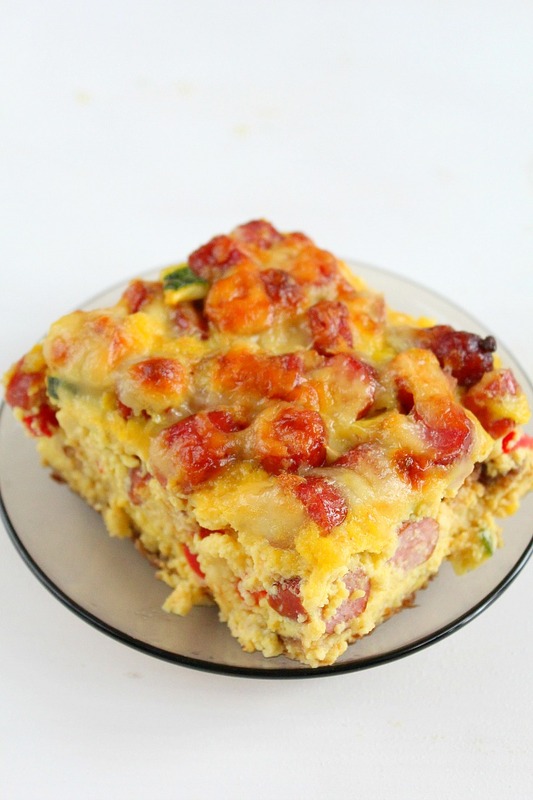 Tender, savory and full of flavors, this sausage bread casserole recipe is the perfect combination of eggs, cheese, sausage and veggies on a bed of bread! 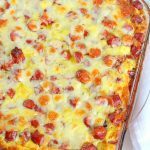 Make this delicious sausage bread casserole the night before and enjoy a hearty, nutritious meal at breakfast; just slightly warm it in the oven or microwave. 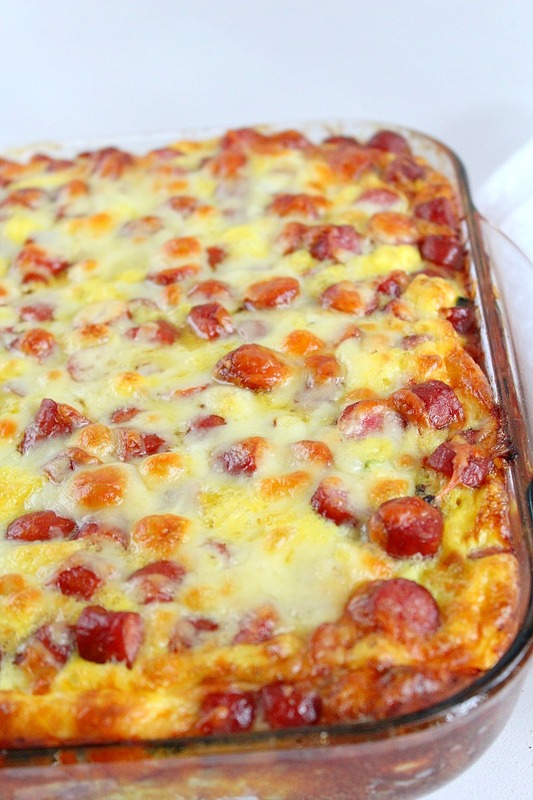 But this yummy sausage bread casserole is not for breakfast only, you can have it at dinner too. 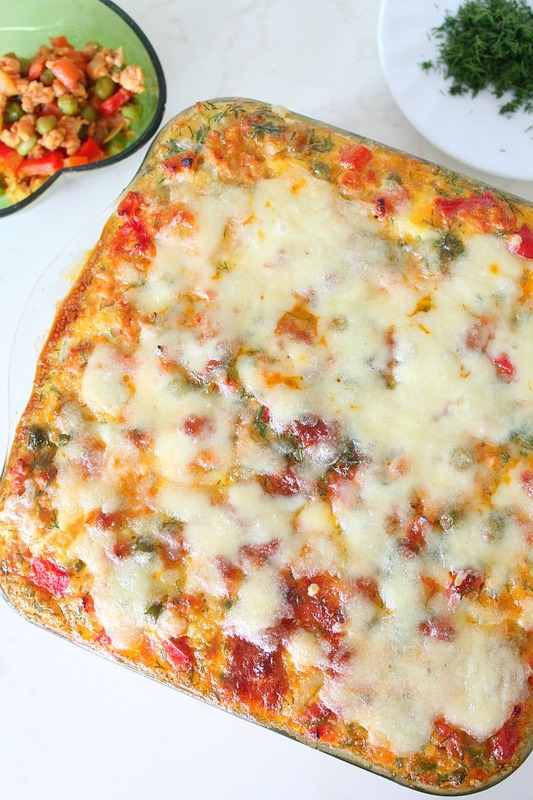 With this recipe, you can enjoy all of your favorites in one yummy casserole! This sausage bread casserole is easy to make, perfect for feeding a crowd and most people love it! My little one really loved the egg and cheese addition as she’s a sucker for those! I knew she’s gonna fall for this recipe thanks to those ingredients so I took the chance to throw a few veggies in and make it a little bit healthier. Make this sausage bread casserole healthier by using turkey sausage, bake them before using in the recipe instead of frying in a pan then drain on paper towels. 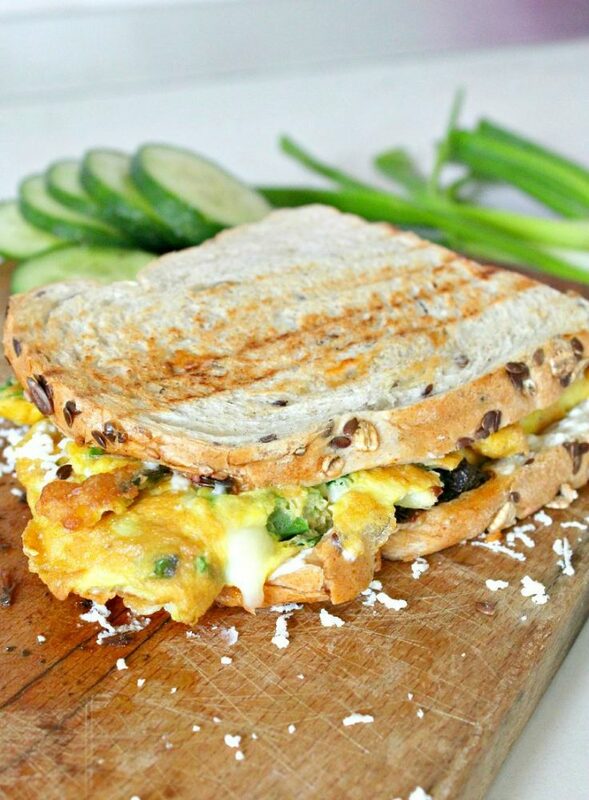 Also you can add lots of fresh veggies and cottage cheese and skip the cheddar cheese. If your sausages are salty don’t add any salt to the recipe. Also if you like smokey use smoked sausages. 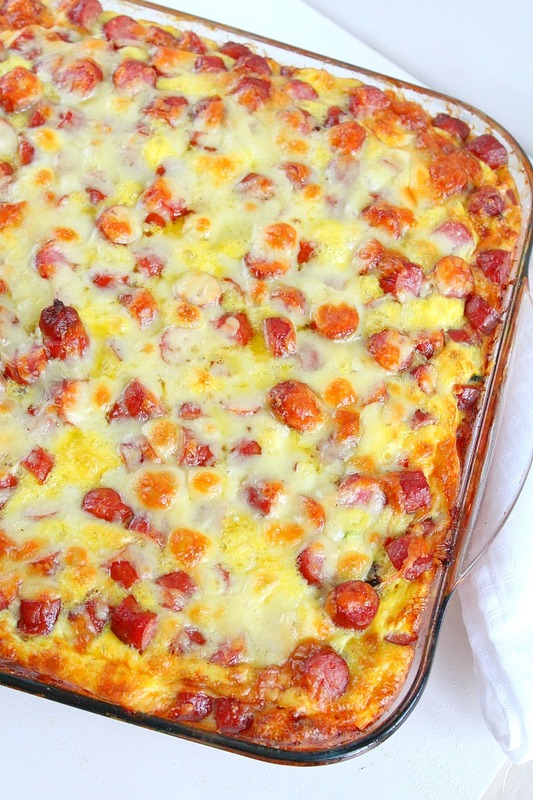 This simple and filling casserole is super versatile and sure to become a family favorite! 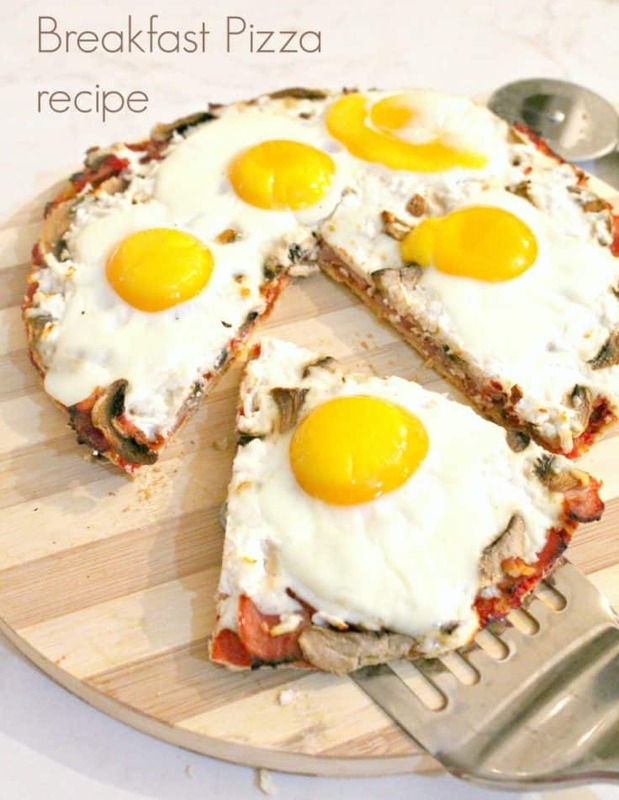 Preheat your oven to 350 F = 180 C.
Beat 6 eggs with 1 cup of milk and mix with cheese until well combined. 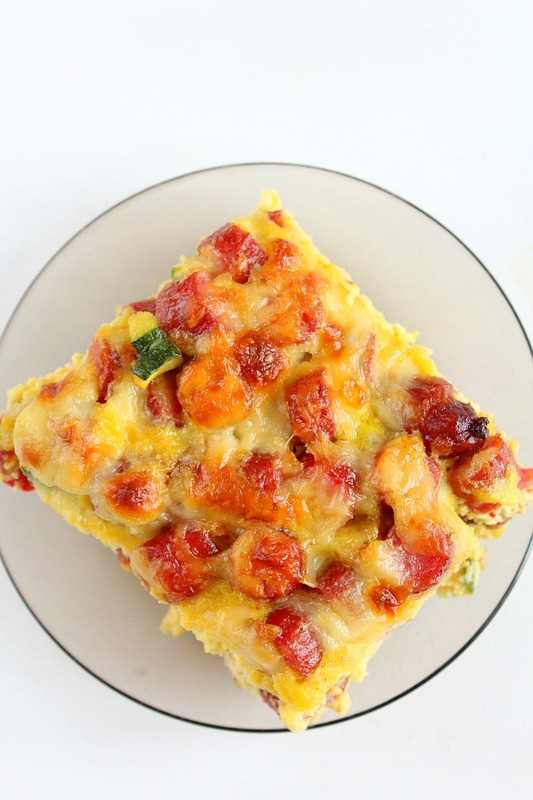 Layer bread cubes to the bottom of the pan, then top with vegetables and cover with eggs cheese mixture. Beat 6 eggs with 1 cup of milk then pour over the sausage layer. Cover evenly and poke with a fork all around the pan. Enjoy your sausage bread casserole warm! 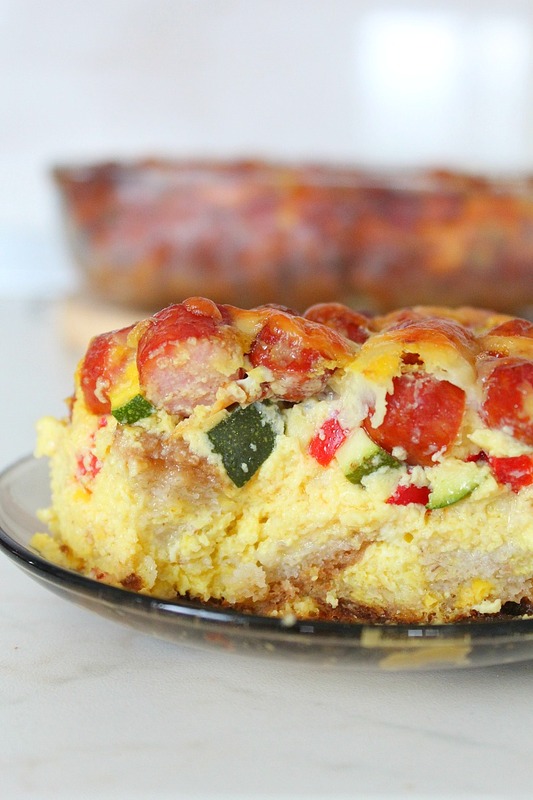 Your Sausage Bread Casserole looks beautiful and would be delicious! Thanks so much for sharing with Full Plate Thursday and have a great day!